The growth of Mac sales accelerated over 100% in the month of January. Revenue growth also rose, according to Pacific Crest Securities . 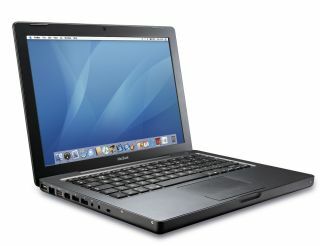 In December last year, Mac sales growth was 55%, a figure which climbed to 101% in the first month of 2007. This was, incidentally, in the same period as the build-up to the launch of Microsoft's Windows Vista. The average selling price (ASP) of Macs apparently grew 4 per cent in January, combining with the sales boom to significantly boost Apple's profits. "Apple's ability to maintain stable ASPs is a strong indicator of its brand equity and consumer demand, in our view," said analyst Andy Hargreaves. Certain Mac products are also doing much better than others. Hargreaves said that sales of Mac notebooks grew 194 per cent year-on-year in January, combining with the increased retail prices to drive a 221 per cent revenue growth. "If this relationship holds in fiscal Q2 [March], Mac sales would significantly exceed our Q2 estimate of 1.495 million units," he added.